Underlining his vision of blending a multitude of genres with his far-famed and distinctive sound, Armin van Buuren's fresh 'Embrace' album encompasses a musical adventure without borders. An endless universe of possibilities, waiting to be embraced. It explains how Armin van Buuren experiences a world full of music, approaching unexpected influences and inspiring combinations with open arms, and incorporating untraditional ideas in his music without deviating from his core sound. 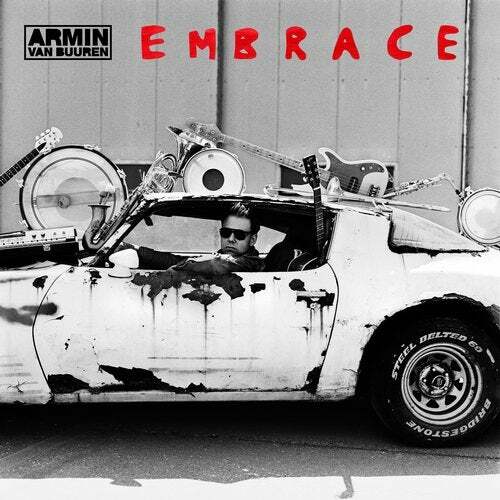 With 'Embrace', Armin van Buuren embraces a wide variety of musical styles and ventures where few dare to tread, using these unconventional sounds as ingredients to fuel his own sound. Ranging from the rocky sound of Kensington in 'Heading Up High' to the jazzy sound of Eric Vloeimans' trumpet in 'Embrace', Mr. Probz and his hip-hop voice in hit single 'Another You', and the singer-songwriter skills of Gavin Degraw in 'Looking For Your Name'; all are strongly intertwined with Armin van Buuren's meritorious endeavor. Let's venture into uncharted territory, starting this brand new adventure together. 'Embrace'.